In the human body, collagen is the most abundant structural protein, forming up to 35% of the entire protein content of the whole body. 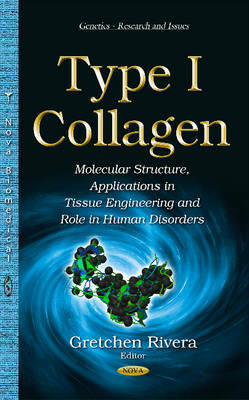 In this book, the preparation, characterization and applications in tissue regeneration of bovine type 1 collagen are reviewed. Furthermore, collagen is often used in regenerative medicine. In this book, the authors report on the helicity of collagen molecule in fibrils by circular dichroism spectroscopy and the thermograph of fibrils by differential scanning calorimetry (the structural aspects of collagen molecules). In the last chapter, second harmonic generation (SHG) microscopy is reviewed and its potential to visualize collagen fibers in a variety of connective tissues.